Instagram is a lovely place to post pictures and keep up with friends, celebrities, as well as keep up with current trends. Logging in to Instagram is quite easy and you can log in using either your mobile phone or your laptop PC. 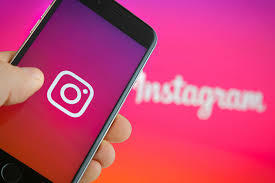 Before now, Instagram was only available on mobile phones but now, Instagram users can finally log into their account on their desktop to scroll through their feed as the photo-sharing network has added a desktop support feature to allow for scrolling when you do not want to use your phone. Instagram does have restricted features on a desktop at the moment, with users limited on how much they can post, see and engage with. When it opens it will give you the option to either log in with Facebook or using your email, phone number or username. Choose your preferred login method, input the required login details, (that is either of the three above and your password) and click on log in. Your account will be logged in. You will be meet a login page and it will ask you to log in either with your Facebook account (if your Instagram and Facebook accounts are linked) or for you to enter your email, mobile number and password. Select the way you would like to login and sign into your account. You will see a slightly different Instagram than what you are used to on your mobile phone. You still will have your regular picture feed and you will be able to search for accounts on your desktop though. This steps are pretty easy and you won't have any problem following them at all. Hope this article was helpful.